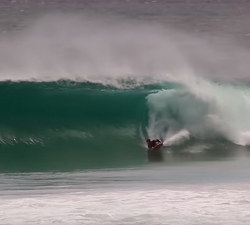 Marli Dunn going ballistic in pumping South Australia. Footage Ben Bettridge. Brought to us by Stealth Army. Pascual Silverio charging some big rights and ripping some fun lefts at home in the Dominican Republic. If you want some quick inspiration to get you out on the knee then here it is. Lackey tears apart the beaches around home. Aymeric Senghor spent a month in Indonesia in search for perfect pits, this 4 minute clip is the result. 20 minutes of roughly cut footage from a recent big swell that hit Maui. Brought to us by PureDIGITALMaui. Some super shallow Canary Island slabs to wet your whistle. Filmed and edited by Man to Water.